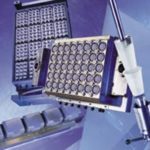 ILLIG Maschinenbau GmbH & Co. is one of the leading manufacturers of thermoforming and packaging technology equipment and devices. The Illig Company has supplied its products to demanding customers in more than 80 countries throughout the world whose needs are surveyed by 750 employees of the Company. 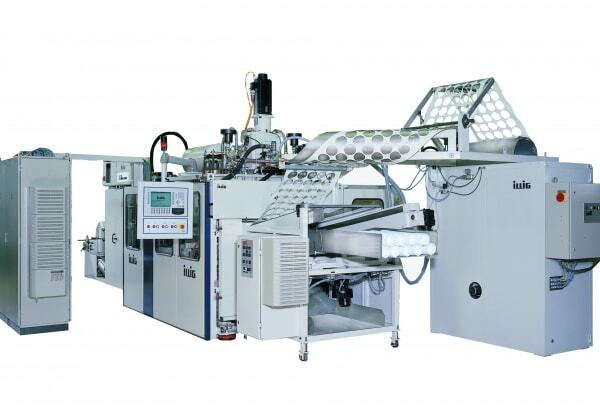 The ILLIG has been the first to develop a bottle forming machine (forming machine type BF 70). Thermoforming is suitable for manufacturing bottles for yoghurts, juices, vegetable, fruit and isotonic drinks in a cost effective manner. Soft foil vacuum packaging has been gradually superseded by the recent trend of packing foods in trays, or deep drawn plastic containers. Time consuming cooking has no longer been a general practice in the shrinking households and varying work. To provide high quality and branded products representing high added value with ease, the demand has emerged in the manufacturers for the same characteristics to be integrated even in the packaging. A manufacturer of branded items turned to ILLIG, a thermoforming and packing specialist based in Heilbronn, to find some solution to this complex challenge. Two package sizes were required, one packing of 8-pockets and one with 12 pockets. Another requirement was that the RFID tag (to prevent shoplifting) was to be printed on the top side of the cover sheet. The IML (in-mould-labelling) single-step labelling technology is suitable to even 5-sided decoration of packaging applying eye catching, splendid colours in the process of moulding. Conforming to the prevailing marketing trends the label materials is to be flexibly combined with the cups. The easy to vary heating technology enables the processing of the most diverse plastics – be it PP, PS, APET, PLA or even the multitier foil. 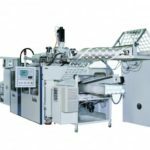 The bottles and cups for the packaging of yoghurts, juices, vegetable, fruit and isotonic drinks are produced cost effectively by means of thermoforming. The potential to apply undergoing parts represents advantages basically both in design and use. Such parts are used as containers, for instance, filled with jams, dairy spreads, custards and fruit yoghurts. Depending on the design, the containers can be manufactured in different volumes. 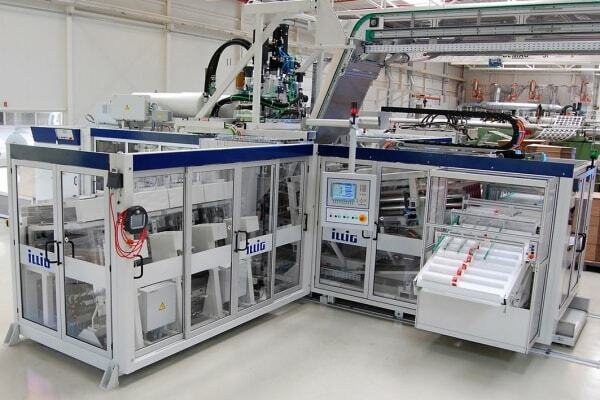 ILLIG presents its recently developed machine, designed for thermoforming sheets. These production lines are suitable for the production of items used in different fields of application, such as electronics, entertainment electronics, automotive and vehicle industry, and general industrial application, including also household, sports and leisure items and merchandise. 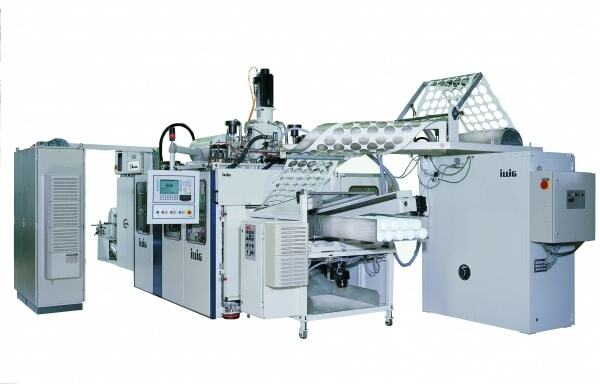 Every process regulated universal automatic forming machines of the UA-g series ensures a wide range of product oriented type variations and the machines with different equipment have different forming areas. The largest is the new version RDK 90 automatic compressed air forming machine, suitable for the processing of even 900 mm net foil width, with 700 mm step length. Like in every ILLIG packaging technology system, in RDK 90 also the modular concept is manifested, which facilitates the purpose-made configuration of high performance thermoforming production lines with the use of diverse configuration options. 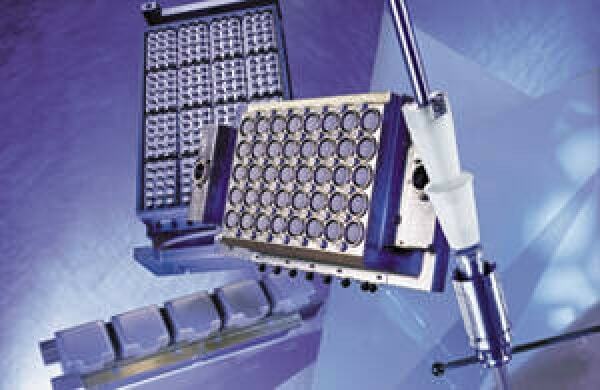 Simultaneous labelling on 1,2,3,4 or 5 sides is possible by means of the ILLIG FSL 48 type IML machine. At the same time, 8 different flavours can be filled and decorated differently. Despite the conventional bandage type labelling, for this technology no vertical side wall is needed. The IML module works with pre-printed labels to apply spectacular decoration on the thermoformed cups, fed from a holding stand. The many faceted application of this technology is unlimited, or just the marketing experts’ imagination may confine the application potentials.